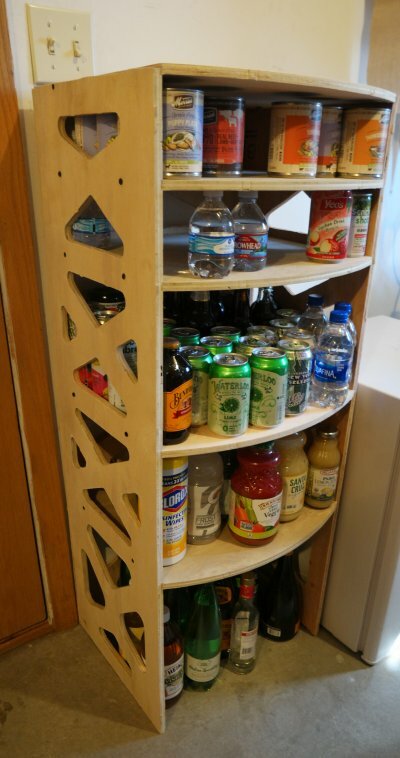 Space saving curvy garage utility shelf with cutouts and support/alignment grooves, sized to fit in a narrow space under a light switch and top two shelves designed for puppy food. My first Maslow project. Designed with Autodesk Fusion360 for 1/2" ply. Had a few accuracy issues with the edges of Maslow cut area.